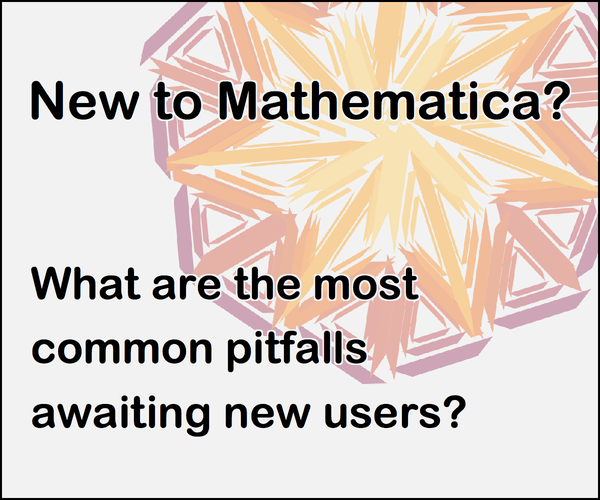 But that simply doesn't work in Mathematica. So is there another way to implement this? PrimePi and Prime are Listable. 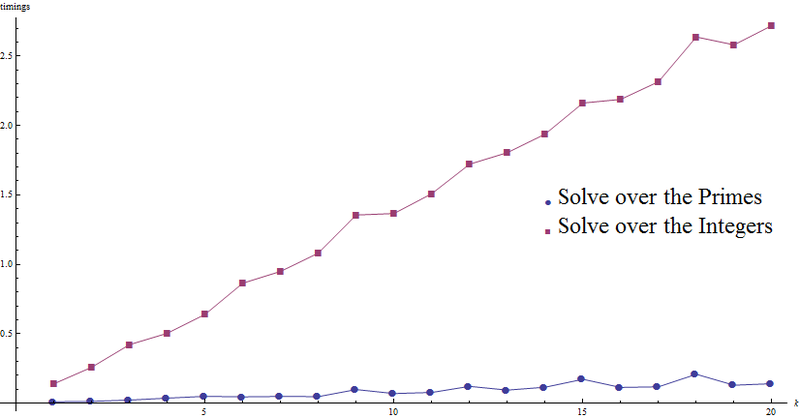 This way is competitive because FrobeniusSolve is much faster than Solve or Reduce, I recommend to take a look at this answer for an interesting comparison. Now, let's compare Solve over the primes and FrobeniusSolve approach. Instead of Select[...] we take Cases[...] (suggested by Rojo in the comments) since the latter appears to be slightly faster. The larger numbers we deal with the better is the FroneniousSolve approach. This issue is even clearer if we have more variables. The oscillating pattern of the above plots of timings is coupled to the number of prime solutions $(m, n)$ to this equation $m + n = k\;$ for any integer $k$. Not the answer you're looking for? Browse other questions tagged equation-solving prime-numbers diophantine-equations or ask your own question. How to define a list that contains all primes less than x? Is there a manual way to generate a string of zeroes with a 2 at the end? Why can't I use OmegaPrime to find the Limit of Prime[n]? How to use Solve command? Is there a way to extract an expression from a formula?